Appellate Courts, also known as court of appeals, deal with cases that have already been heard at a lower level court and review their jurisdiction. This level of the court system serves as an intermediate between lower, trial courts and the supreme court. Individuals typically choose to appeal a case when the outcome did not rule in their favor. This process allows the case to be reviewed differently and more carefully. 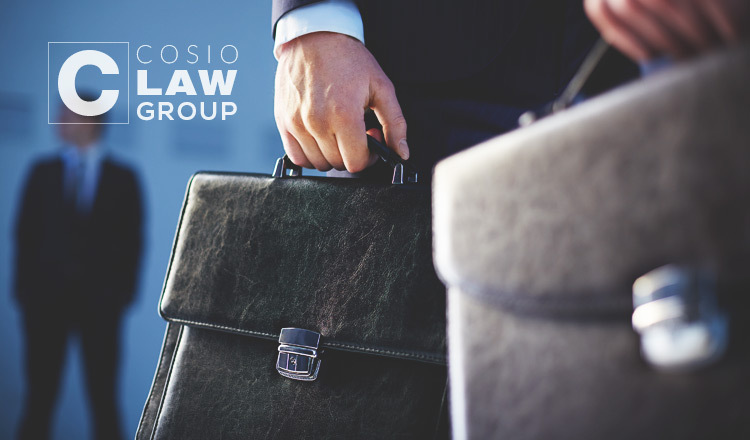 Cosio Law Group has acquired countless years of experience in representing clients who have taken their cases to appellate courts. Through our time working hands-on with these businesses and individuals, we have compiled knowledge and strategies that only serve to refine our skills further in the practice. We understand how trying the process may be and want to help guide you every step of the way. The points listed above are just a few of the services available at Cosio Law Group. Our attorneys will carefully analyze and review all records and documents involved with your case. In reviewing these aspects, we will be able to draft, and eventually present, persuasive briefs on your behalf. Working with an experienced lawyer will prove beneficial when presented before appellate judges. Through our experience, we have worked with many companies and individuals who have utilized our appellate services and made great strides toward the outcome they desired. We believe in working diligently to meet our clients’ needs and oversee that we are doing everything we can to present a solid case to the court. If a client ever has any questions or concerns, we are always available to address them. Working with Cosio Law Group is the key component you need to successfully pursue your appellate case. Contact us today at (305) 567-0503 or click here to begin working with one of our skilled attorneys today!